What the Truck?! 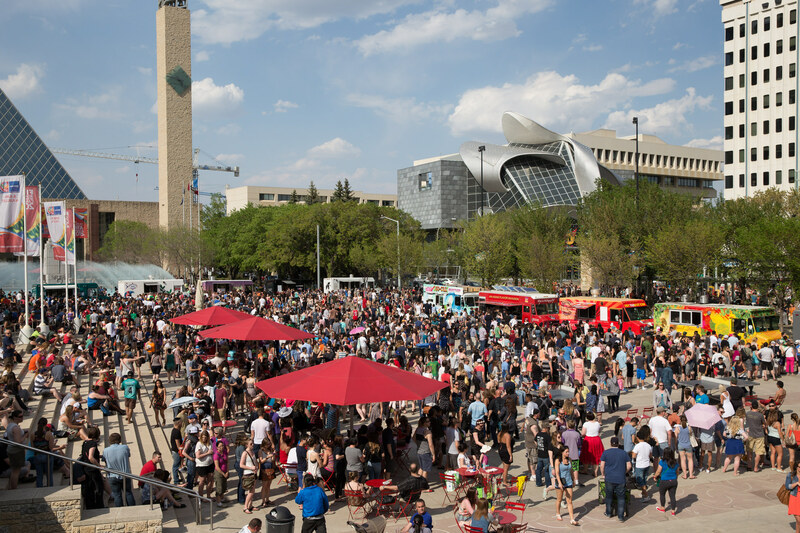 – Page 4 – Edmonton's Food Truck Extravaganza! May certainly feels like truck season! Opening Day of the Farmer’s Market! Dedo’s Food Truck & Catering is coming and Masjid in the Park is treating! Enjoy together brings community together, come and have free wrap on us! It is an outdoor event at the construction site, and it would be a pleasure to have our Sherwood Park community join us. 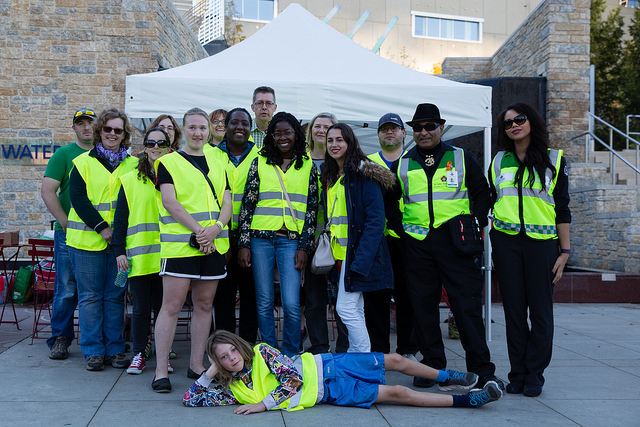 Get Ready in the Park is a free, one-day, family-focused outdoor event that showcases Edmonton’s emergency management community and promotes personal emergency preparedness and community resiliency. More than 50 agencies participate, and the event grows each year. If you want your event shared on our website, please be sure to submit it to us via our Book the Trucks or Share our Event forms! Check back next week for our menus and final details post! We’re almost two weeks away from our kickoff event on May 14th at Northlands, and we couldn’t be more excited! However, we’d be remiss to not mention that we’ve had some changes to the team, as well as shifted our focus this season somewhat to match the food truck-scape in Edmonton. So here’s a look at what we’ve been up to, and what direction we’re heading in. After last season’s wrap-up meetings with the trucks who participate in our events, combined with the feedback from our volunteers and attendees the past two seasons, we have decided to scale back from a full season of events, and shift to doing only two large events – a kickoff in May, and finale in September – to bookend the main food truck months. What the Truck?! was started as a group to help advocate for and promote food trucks and food truck culture in Edmonton at a time when there weren’t many trucks in our city, and there were a lot more road blocks for new, local businesses to get their feet in the door and share their food and passion with customers. Change isn’t always readily accepted from the get-go. Fast forward to this past season – there were more than 100 trucks in our database by the end of 2016, and food trucks are a staple at nearly every outdoor event that our festival city has to offer. 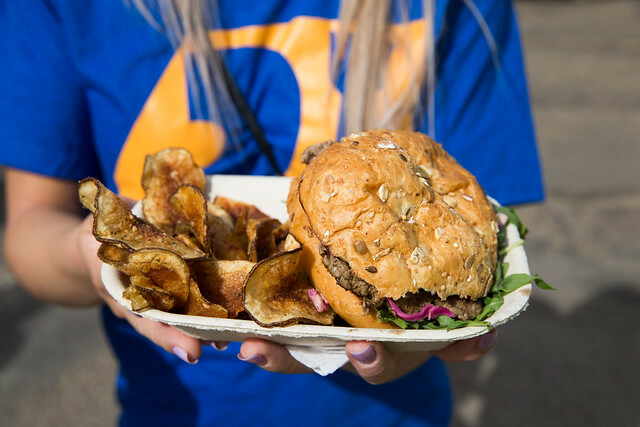 Our events used to be a way for people to come see different areas of town and try new food trucks that they might not see during their weekday lunch hours. The need simply isn’t the same as it used to be – and we’re totally okay with that – it means that our dream of seeing food trucks embraced and local businesses succeed is a reality, and that’s pretty darn cool. So instead of planning extra events that take away opportunities for trucks to come out to all of the other wonderful events, we want to embrace change, and instead plan to regularly promote and share everyone’s events that have food trucks – because we want you to go to them, we want you to try all of the amazing food that everyone has to offer, and we want you to continue to be the fantastic city that tasks risks, tries new things, and supports one another. If you have an event coming up that you have already booked trucks at – Farmer’s Markets, festivals, everyone – you can fill out our Share Your Event form (preferably at least a week in advance!) and we’ll include your event in our posts. If you have an event coming up that you want food trucks at, you can still fill out our Book the Trucks form – and if you want us to include your event in our posts, you can indicate that right in the form too. If you’re a truck that still wants to get involved with our season this year (because we’ll share out anything that you tell us you’re going to be at too! ), you can still apply to become a member. Our team of 7 from 2015 went down to 6 in 2016, and now we’re a 3-man band in 2017. Mack and Melina have been working diligently to put together the events this season, and Su is a volunteer coordinating rock star (if you want to volunteer at our May event, please e-mail her at team@whatthetruck.ca!). We really hope we’ll see you at our kickoff in May – but if not, we’ll see you out and about at events this summer, and at the finale event in September! Spring has sprung, and we’re ready to come out of hibernation! Food truck season is upon us, and we’re back again for 2017! We’re kicking off the season with one BIG event, so join us on Sunday, May 14 from 12-7PM at Northlands, just outside the Expo Centre for fantastic food, music, and family-friendly beer gardens! Parking and event admission are completely FREE of charge, and unfortunately only service dogs are allowed onsite. RSVP to our Facebook event, and be sure to check back for the truck lineup and menus in the coming weeks! If you’re a new truck hoping to get involved this season, it’s not too late – Contact us at team@whatthetruck.ca for more information! 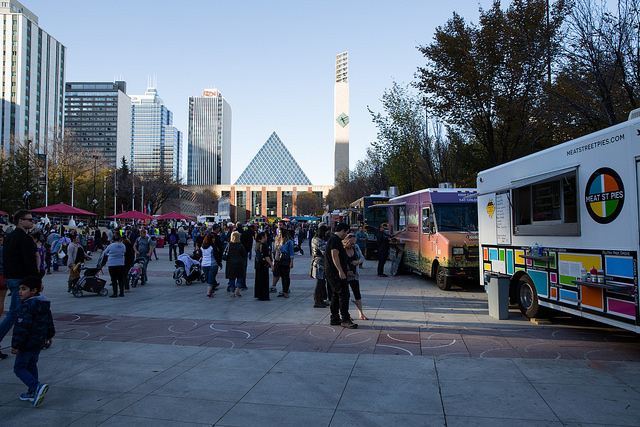 The 2016 season was another great one for food trucks in Edmonton. 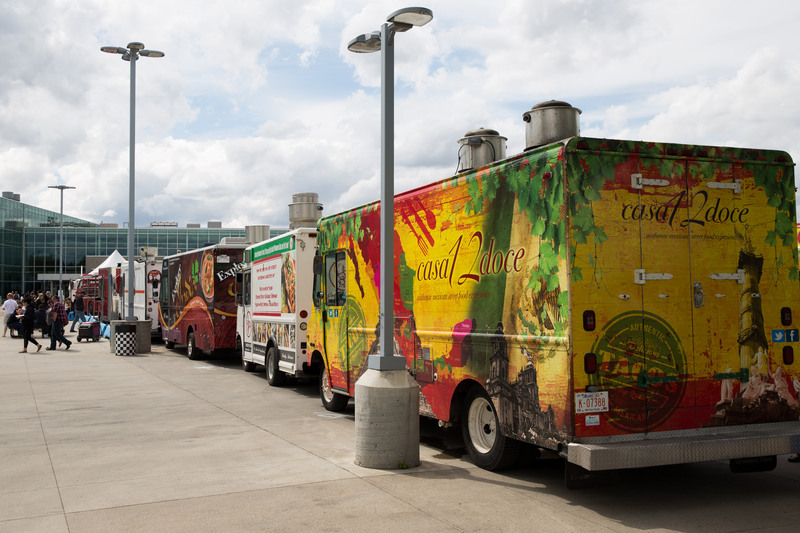 With more than 90 trucks operating in the metro region and hundreds of events featuring food trucks held over the summer, there’s no shortage of options when it comes to getting your food truck fill! Many food truck operators are taking a well-deserved break now that the cooler temperatures have arrived, but we’re already thinking about 2017! Thank you to those who made it out to Churchill Square for our final event of the season! Everyone seemed to enjoy the nice, mild fall weather and many also took advantage of Free Admission Day. Goodbye summer, hello fall! 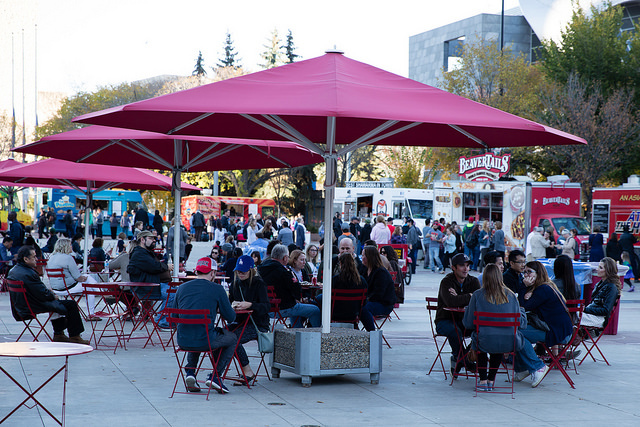 Tomorrow is the final wrap-up event for our 2016 food truck season at Churchill Square. If you haven’t already, head over to our Facebook event and RSVP. Dogs ARE permitted on the square. Please keep all dogs on a leash. Motor Photo Truck will at the Square offering quick photography sessions, including headshots. It’s been a brisk few days so please dress appropriately for the weather. The show must go on in rain or shine! Download the PDF menu here! It seems like fall has already arrived but that’s not stopping us for being excited for the last big event of the year! We’re featuring 25 trucks that will satisfy your taste buds and hopefully warm you up on a brisk Sunday afternoon. Various flavours of vegan sorbetto. All served with a pickle and potato salad. Please note menus are subject to change. Don’t forget to RSVP on Facebook and keep checking our social media for any updates/changes!